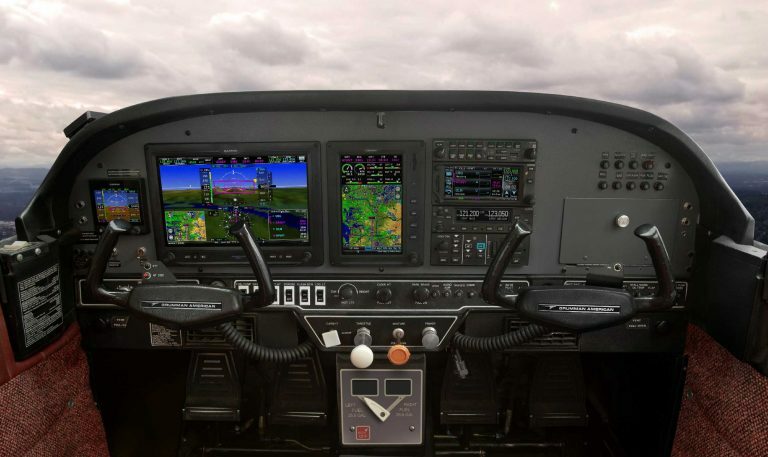 These are exciting times for avionics in GA, as there’s a veritable tidal wave of innovation. Not so long ago, if you wanted to put an attitude indicator in a Permit aircraft you’d need a classic gyro, powered by a vacuum pump. 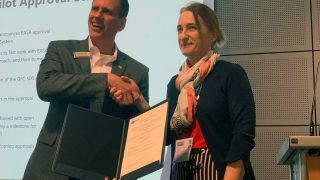 But no more, as there are now some extremely capable and compact, uncertified Air Data Attitude Heading Reference System (AD-AHRS) units on the market, and for very little money. That’s great news for those who fly the 8,000 or so LAA and BMAA Permit aircraft and 2,000+ gliders in the UK. 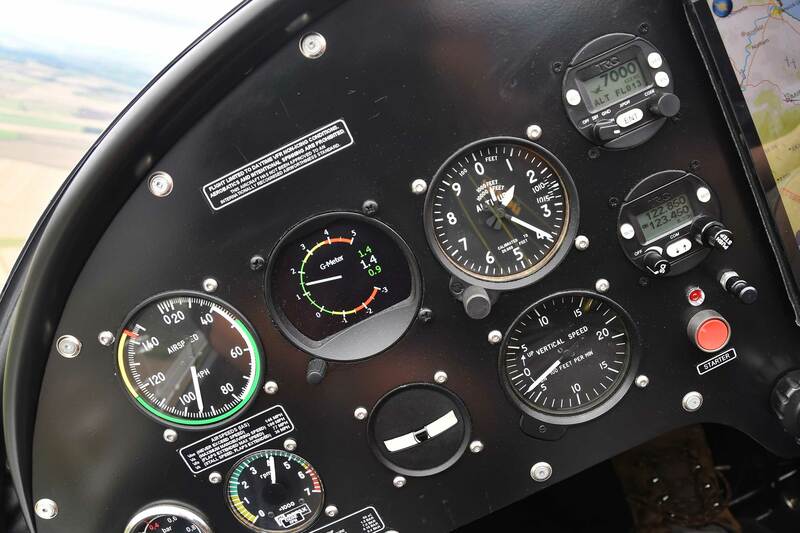 When our four-man group decided to refurbish the instrument panel in our Evektor EuroStar, an AD-AHRS was a must-have safety device. 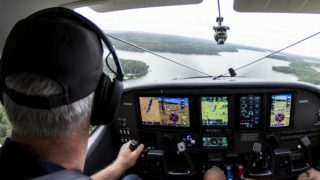 Although we’re limited to daytime VFR flying, anyone who tours extensively will know that however good your planning, trouble is never far away – a good example being sea crossings, which can be uncomfortable even on the nicest summer’s day. There’s good choice in the uncertified market, around the £1k mark. 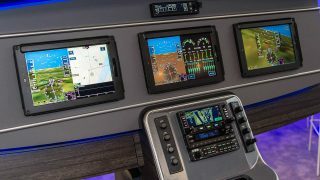 Having considered the Dynon D2 [the D3 was launched at EAA AirVenture 2018 and should be available from November 2018 – Ed], the Garmin G5 (available in both uncertified and certified versions) and the AvMap Ultra, we settled on the feature-rich Kanardia Horis 80, not least because it would fit in a standard 3 1/8 inch (80mm) hole, amid our existing analogue instruments. 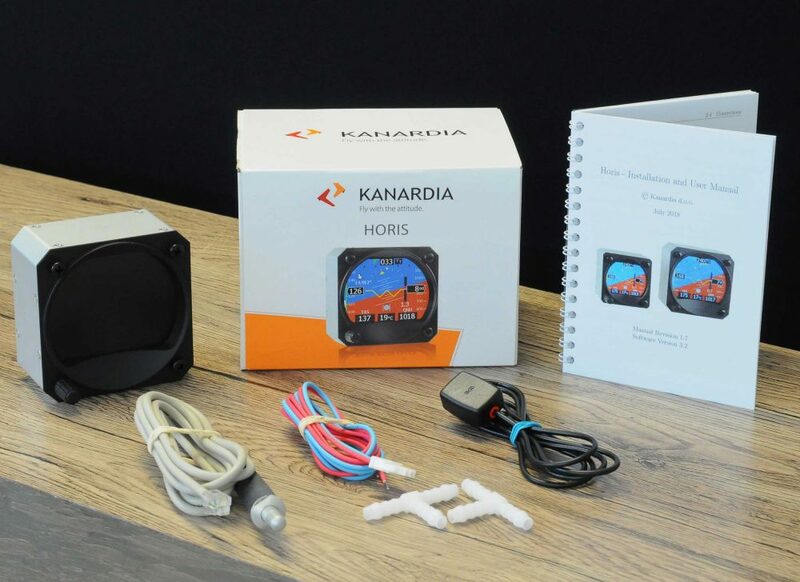 The Horis is a compact little device and weighs in at a mere 300g, including the Outside Air Temperature (OAT) cable and sensor and GPS mouse. It’s only 40mm deep, and a further 40mm is required for the attendant connectors and tube/cable curves. Fitting the Horis was straightforward, and group handyman Alex Smith was careful not to overtighten the mounting screws, as you can easily damage the LCD, especially with thin panels like ours – they should be a minimum of 1.5mm thick. The Horis is connected to the pitot-static system and two standard T-pieces are supplied. We decided to mount the OAT sensor underneath the wing-root fillet on the opposite side to our exhaust, and the 1.5m cable supplied was perfect – longer lengths are available upon request. Lastly, we mounted the GPS aerial on top of the coaming – it provides azimuth and ground speed, and although it also supports artificial horizon stability, the artificial horizon will work fine without it. Power came from the busbar, via a switch, and required one-amp fuse. With our BMAA Inspector signing off our completed panel and the mod being approved by the Association’s efficient tech department within a mere 48 hours, it was time to fly. Well, almost, as a bit of setting-up is required via the Horis’s intuitive menu, which is accessed via a single push/rotate knob. We calibrated the artificial horizon on a level surface while selecting our preferred units (our ASI is mph) and applying the EuroStar’s leisurely V-speeds to the speed tapes. Finally getting airborne on a sunny winter’s day, we were immediately struck by the brightness and clarity of the display, even with the sun flooding the EuroStar’s greenhouse. 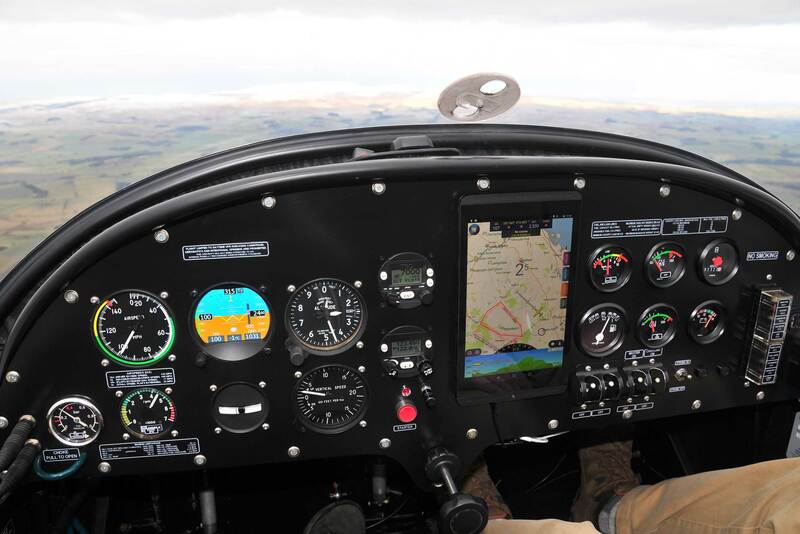 Group member Steve Biglands, a former RAF QFI, was most impressed with the artificial horizon’s accuracy and stability as we flew the EuroStar hard to explore its performance throughout our flight envelope. You can ramp up the AHRS response rate but the default of normal has proved perfectly adequate for our flying. There really is a mass of information on the primary screen. 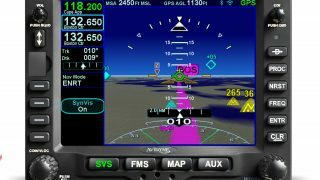 Artificial horizon with reference line, roll arc and pitch lines, IAS, TAS, OAT, altitude adjusted to QNH, GPS-derived track and ground speed, slip ball, rate of turn and VSI. 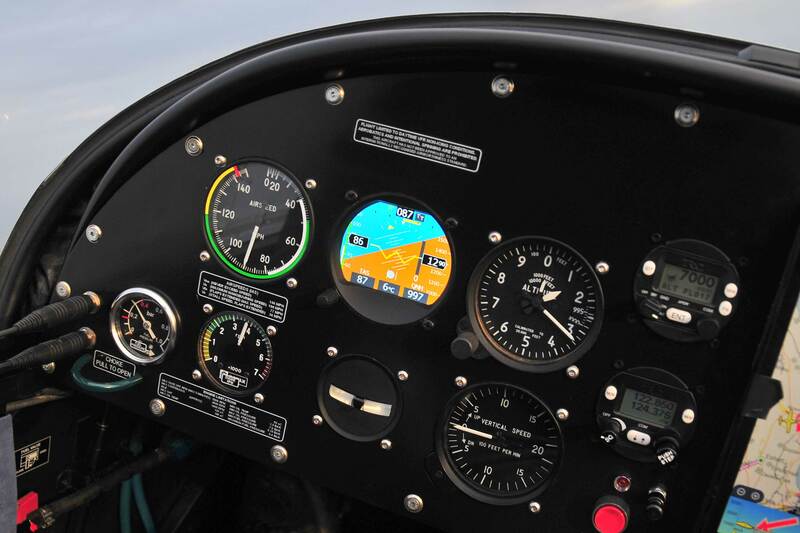 While airborne, a press of the control knob transforms the display into an excellent Direction Indicator, complete with heading bug and ground speed. As if that isn’t enough, a further press reveals a G-meter, recording the current force and previous maximum/minimum values, which can be reset. For our EuroStar, it’s probably more for our amusement and academic interest, though very useful for Permit aerobatic aircraft, I’m sure. Only three values can be adjusted while you’re in the air – the QNH, the pitch-neutral setting (to take account of different weights) and the brightness, though we’ve always left it on the default of maximum. 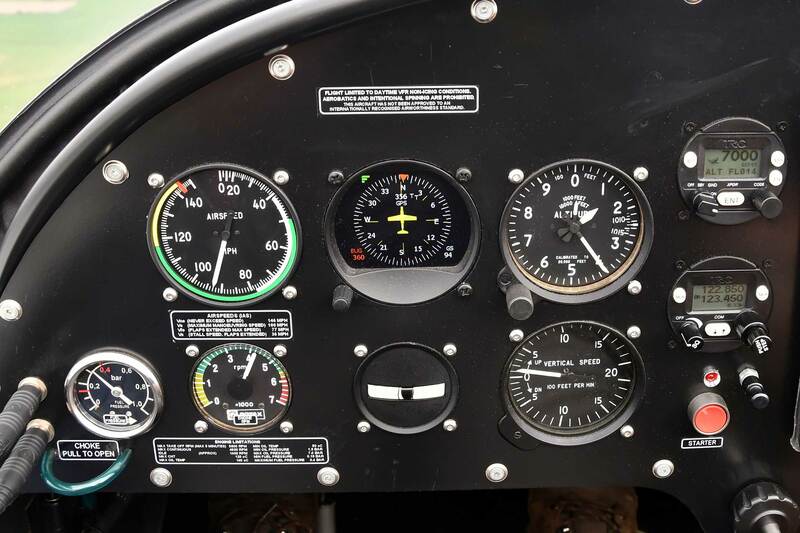 As I write, Steve, Charlie, Alex and I have flown 250 hours since refurbishing the panel last January and the Horis has been an ever-present, trusted companion. The horizon performance has been rock-solid during all manoeuvring and never tumbled. The AHRS has proved its worth as a valuable safety aid during some of the more stressful sea crossings and flying in high-pressure murk. We’ve found the DI heading bug especially useful when arriving at fields with multiple runways. The first G-meter software release did cause a glitch but it was quickly resolved with an update. Speaking of which, a software upgrade requires a specialist Bluetooth dongle to be plugged into the CAN bus on the unit’s rear, which is a bit of a pain, but fly into Turweston and LX Avionics can take care of that while you wait. However, to be honest, I can’t see regular software updates being required. The EuroStar being a microlight, we don’t require back-up instruments so we ditched our floating magnetic compass (I really don’t miss its randomness) but as traditionalists decided to keep the rest of our analogue instruments in the conventional ‘six pack’.